Kromer Investments Inc. was established in 2004, and is the successor to company principals, Grady W. Kromer and Cheryl L. Kromer. For a period of over 30 years, the Kromers self-managed various rental properties, including multi-family apartment communities, retail and professional office space. While the day-to-day operations and management functions have been turned over to the professional staff of Kromer Investments, Inc., the Kromers actively oversee all aspects of the organization. Currently, Kromer Investments, Inc., has a combined staff of more than 100 employees and manages properties in California and Reno, NV. Our mission at Kromer Investments, Inc. is to provide the best value for the rental dollar. Whether you are a renter, an owner or an investor we pride ourselves in providing you with the best “bang for the buck”. At Kromer Investments, Inc., we have what we like to call “The Owner- Managed Advantage”. In short, we treat all of the apartment communities we manage as if we own them. This translates to satisfied renters who are proud of where they live and satisfied owners and investors who rest assured they will attain a better return on investment with Kromer Investments, Inc.
Mr. Stephen Kromer was appointed Vice President of Kromer Investments, Inc. and its various divisions in January 2017. From 2001 to 2008 he held multiple positions within Deloitte, and PwC, gaining valuable experience in Fortune 500 companies by performing financial statement audits, advisory and consulting projects, royalty and contract dispute analyses, and fraud and piracy investigations. In 2008, Mr. Kromer decided to join Kromer Investments, Inc. full time and help manage the exponential growth the company was facing. With guidance from Kromer Investments’ founders and the excellent upper management team, Kromer Investments, Inc. has grown to be unrivaled in the property management and real estate industry in Northern Nevada. Mr. Kromer is a certified public accountant in the State of Nevada and also hold a Certified Fraud Examiner designation. In addition, he holds a Bachelor of Arts degree with a major in Environmental Studies/Economics from the University of California, Santa Cruz. In his free time he enjoys family, golf, skiing, BBQs, and power boating on Lake Tahoe. 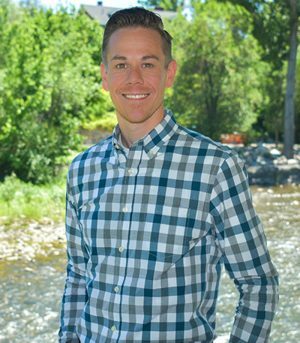 Ryan Moore joined Kromer Investments, Inc. in 2010 and was promoted to oversee The Villas at Keystone Canyon, our first of several luxury multifamily development projects within our growing portfolio. Over the past ten years, Ryan has proven to be well-versed in his field by offering vast industry insight and an innate ability to coordinate property operations while leading and inspiring team members. Ryan believes in transparency and challenging convention. He possesses a proven history of building strong relationships and continually strives to offer superior client services. 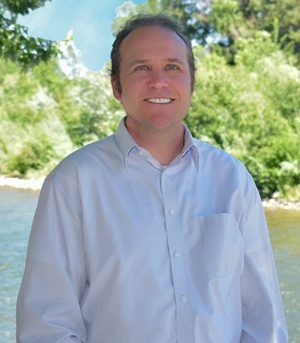 Ryan received a Bachelor of Science in Business Administration with a major in Management and Economics from the University of Nevada, served as an IREM board member, and holds his ARM® designation. 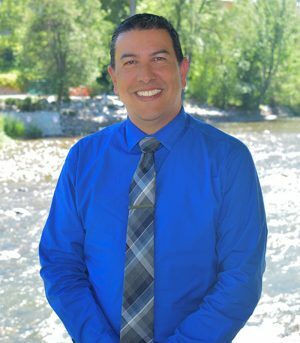 Roland Montoya is the Regional Property Manager with Kromer Investments Inc. He has been with the company since 2000 and has since earned an Accredited Residential Manager designation as well as a Certified Property Manager designation from The Institute of Real Estate Management. He also holds a current Broker Salesperson license from the Nevada Real Estate Division as well as a Property Manager license.